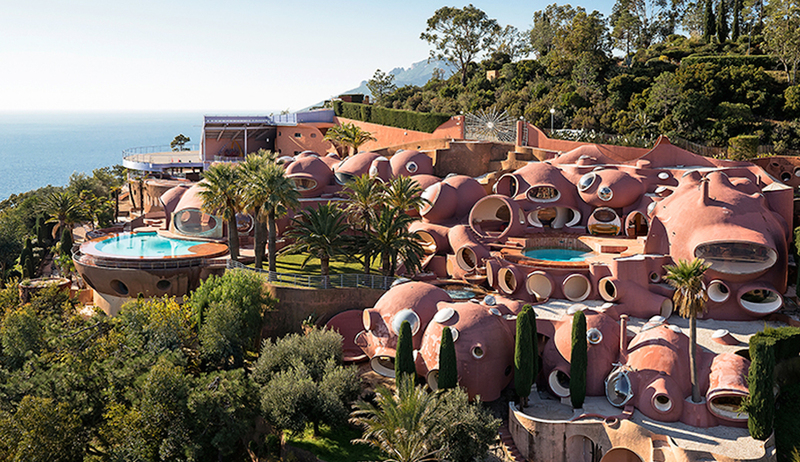 Facing the Bay of Cannes in the rocky Massif de l'Esterel, this amazing home set on the heights of Théoule-sur-Mer boasts breathtaking views of the Riviera shoreline and its ochre inlets. 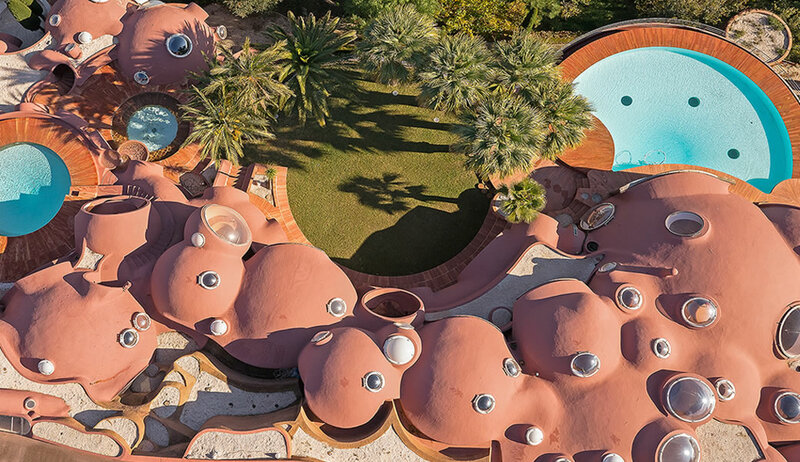 One man’s obsession, this unique home, with its mass of curving, spherical modules interspersed with terraces and pools, seems suspended between sea and sky, facing the Mediterranean sea. 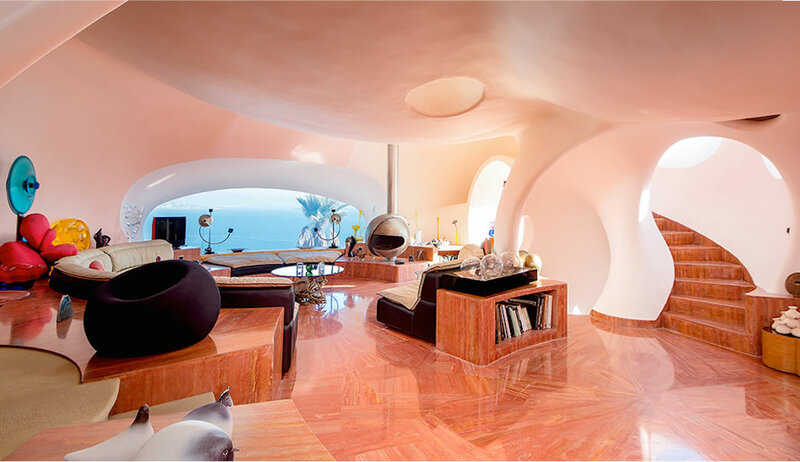 Its feminine curves carry over into the decor, with bespoke furniture designed by contemporary artists to blend harmoniously with the spaces in the many suites. 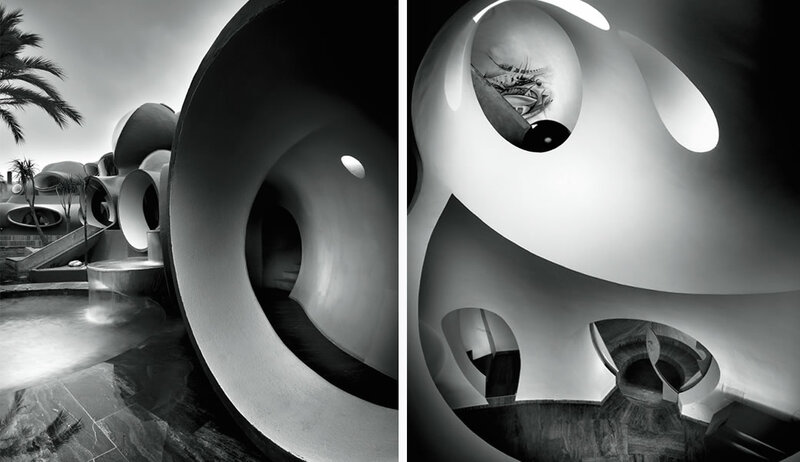 This futuristic modern-day maze is a dream residence, with its large, rounded openings bathed in sunlight, reflecting sea and sailboats. Private property. Not open to visit.